Location: University of the West of England. The proceedings began with a presentation of several short films produced by Project Everyone to help raise awareness of the Sustainable Development Goals. The films can be found here. 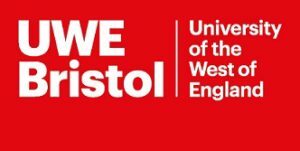 Making Global Goals Local Business – Bristol was then formally opened by the Pro Vice Chancellor of UWE Bristol, Professor Martin Boddy. He was followed by Councillor Fi Hance, Cabinet Member for Energy, Waste and Regulatory Services, Bristol City Council and Dr Georgina Gough, Senior Lecturer in Education for Sustainable Development, UWE Bristol. Dr Gough presented an overview of UWE Bristol’s action on the SDGs. She explained that UWE Bristol has worked on a new strategy for 2020 as well as a sustainability plan to implement the SDGs into their operations, curricula and purpose. Next up, to conclude the welcome session, Steve Kenzie, Executive Director, UN Global Compact Network UK welcomed attendees and provided some information about the SDGs Roadshow and why it had been undertaken. He also introduced attendees to the UN Global Compact, the world’s largest corporate sustainability initiative. Steve Kenzie then began the main event with a presentation on What are the SDGs? He gave a brief account of how the Goals came into being and an overview of the Goals. He then did a deep dive into Goal 2 to demonstrate the scope and richness of the SDGs. Steve Kenzie’s slides are available here. The next speaker was Harpinder Collacott, Executive Director, Development Initiatives. She spoke about the SDGs Indicators that will be used to measure progress on the Goals, what the Goals mean for the UK, and how business can get more involved. Harpinder Collacott was followed by Ian Townsend, Chief Executive, Bristol Green Capital Partnership who spoke about the organisation’s actions to implement sustainability and the SDGs in Bristol. If you want to know more about Bristol Green Capital Partnership click here. The event continued with a panel made up of UWE Bristol academics. Dr Svetlana Cicmil, Director of Doctoral Research, Ian Brooks, Senior Lecturer in Sustainable IT and Dr Fiona Jordan, Associate Dean explored the role of academia in supporting local businesses to achieve the SDGs. After a short break, a second panel with Nick Davies, Founder of Neighbourly, Kate Martin Bruintjes, Director – UK Sustainability, DNV GL, Ian Townsend, Chief Executive, Bristol Green Capital Partnership and Dr Georgina Gough, Senior Lecturer in Education for Sustainable Development, UWE Bristol discussed the role of business in implementing the Goals. At the end of the event participants asked questions to the speakers and expressed their views on the Global Goals. Making Global Goals Local Business – Bristol ended with some closing remarks from Steve Kenzie and a networking reception. More information on the Global Goals can be found here.